Angela has been a stylist since 2003 and with S-kape since 2017. Angela is a perfectionist and constantly seeks to advance her education and skills. She strives to make long term connections with her guests with doing both hair and nail services. Our guests enjoy Angela’s sweet disposition and her eagerness to deliver 100% satisfaction. 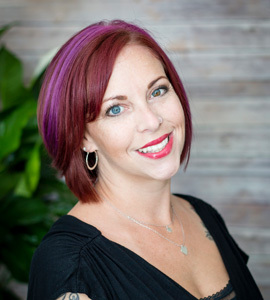 “Guest satisfaction with their look is the most important thing to me and I love to make people look and feel beautiful.” When Angela is not at the salon she is spending time with her husband, her three beautiful children, animals, and enjoys kayaking. Angela serves guests on Tuesdays and Thursdays 3-9 and most Saturdays 8-4.